Capture oil leaks and drips before they create a hazardous situation. Flexible, portable pads feature replaceable, oil only sorbent within a welded leak proof barrier. 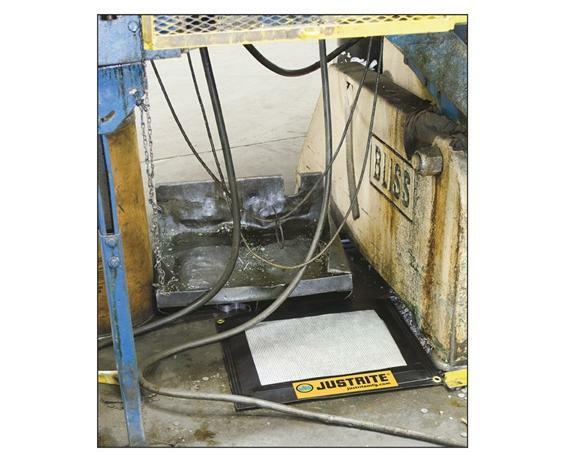 Patented design includes a coated mesh outer layer to trap coarse debris. Use under leaky machinery and pipes. 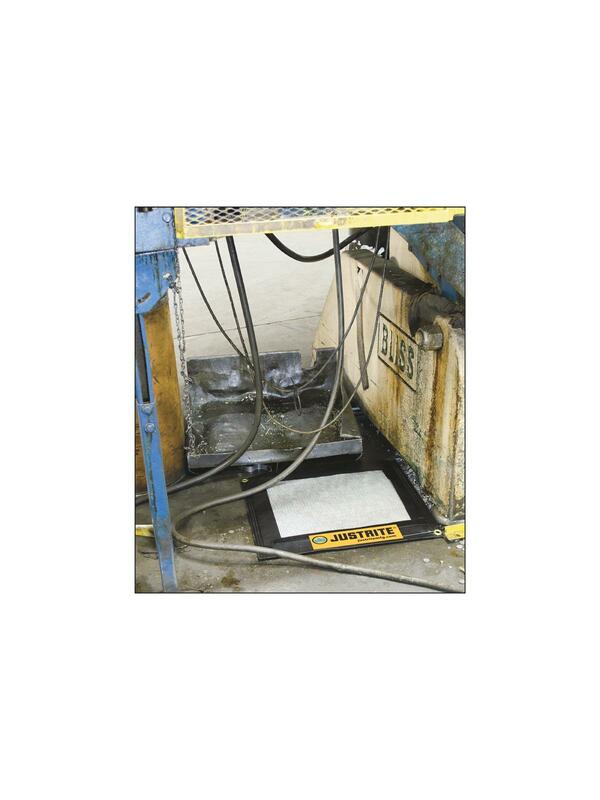 Made from UV and chemical resistant modified PVC - rated for drive over applications. Grommets permit anchoring when used outdoors under vehicles. Outer shell is reusable with optional refill sorbent packs. FOB Shipping Point.